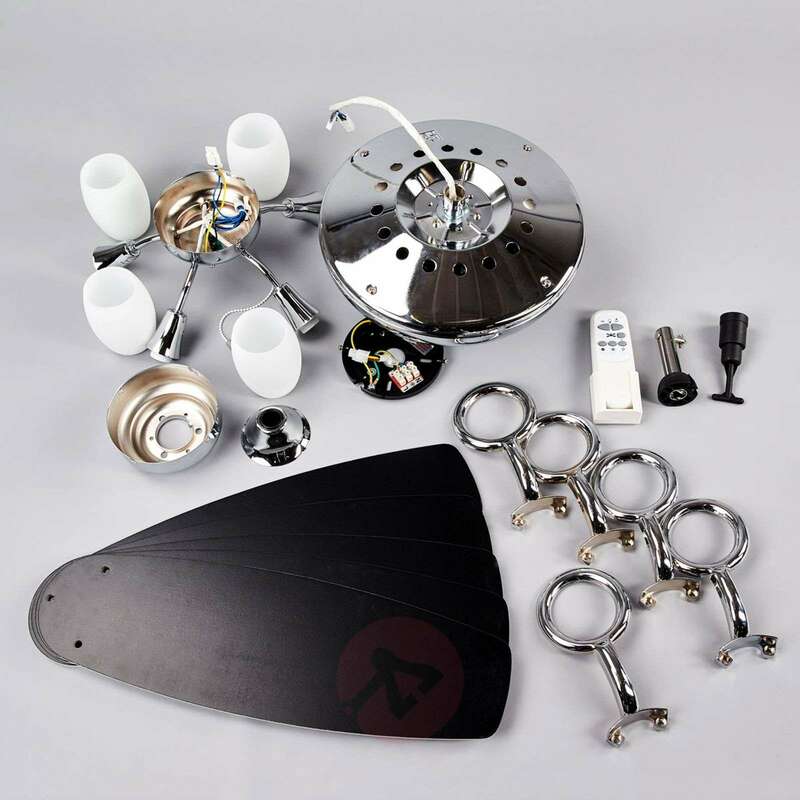 In addition to its five blades, Cedrik also has five E14 bulb holders so that as well as providing a refreshing breeze, the fan also generates a bright light, which therefore means that you don't need any additional ceiling lighting. The existing power connection on the ceiling can thus be used for both functions. One side of the blades is white, the other black. The speed of the blades can be set via the pull switch. 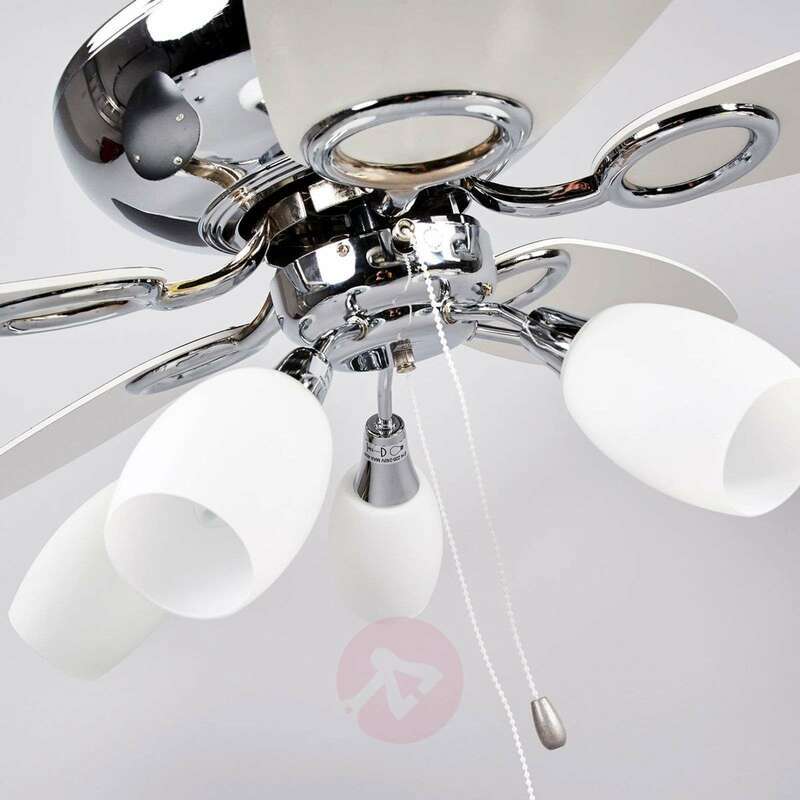 The fan can also be used in both summer and winter as the rotation of the blades can be changed. In winter, the fan ensures that the warm air below the ceiling is pushed back down into the room. 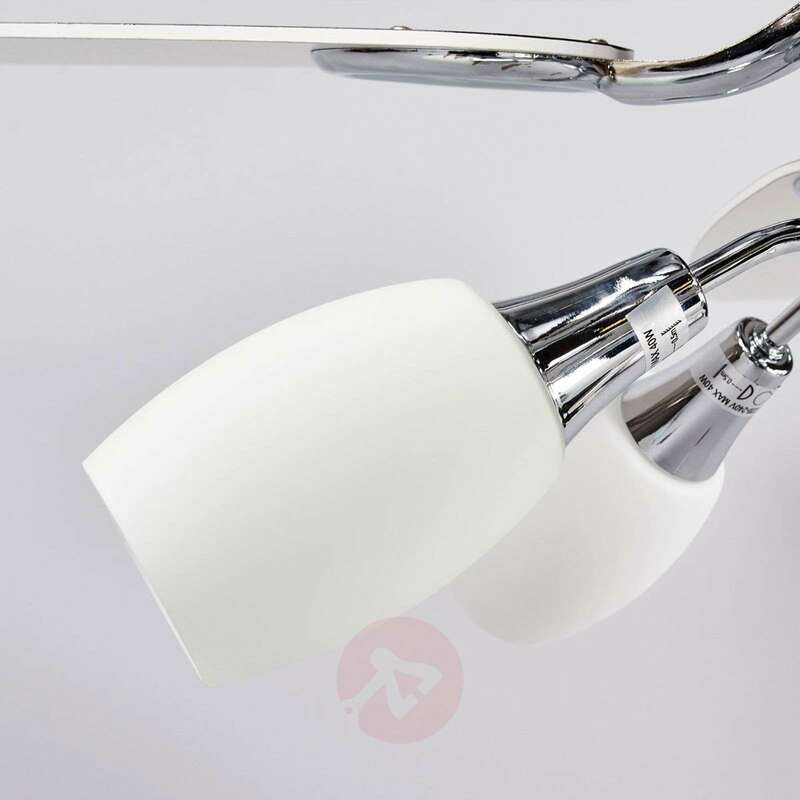 The mode can be set via a switch on the body of the fan. thank you for your question. 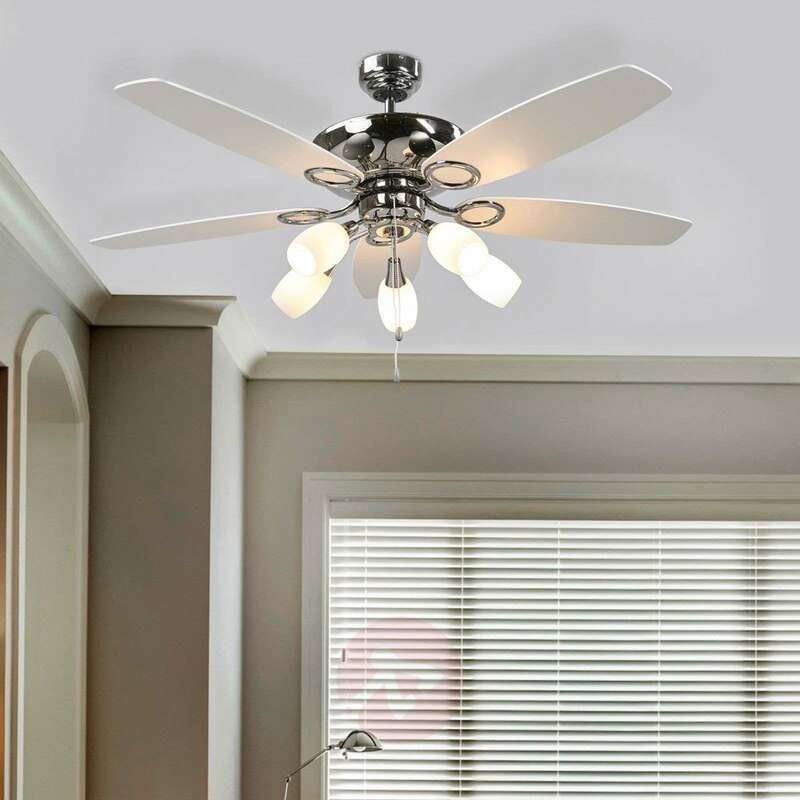 No, you cannot alter the height of this ceiling fan. Hi. 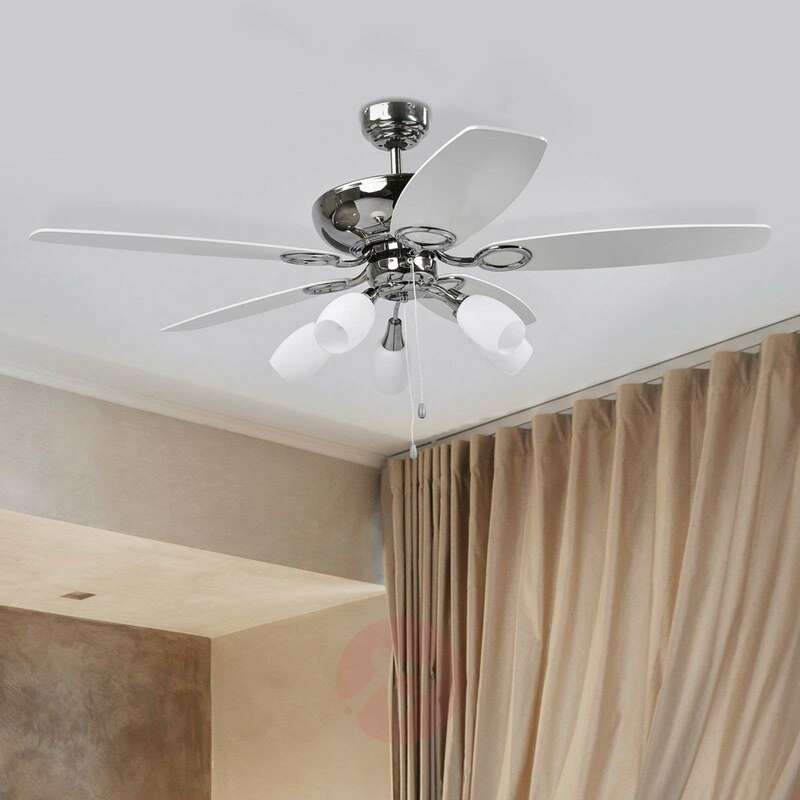 How noisy is the fan please. This fan is relatively quiet. It does include a remote control.